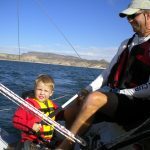 Learn Sailing at Any Age! AHOY! First race season out? Never raced before? Need time to learn a new boat or train crew? 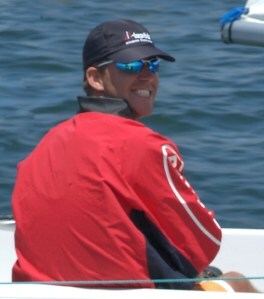 Want to get some practice sailing but aren’t really interested in “racing?” Just want a break from the Race Season? Welcome to the GREEN FLEET! We take starts just like everyone else, but are “less serious” about the finishes. We tend to sail with the stereo, lots of snacks and a very heavy cooler! We aren’t quite a “cruising” fleet, but we aren’t quite a racing fleet either. All boats from Lasers to freighters welcome! I’ll be available for anyone who has questions and if there is enough interest we’ll even schedule a chalk talk on a subject. We sail in the fall and spring series at Lake Pleasant. 2) We start together but don’t keep score after that. 4) Kids, friends & family HIGHLY ENCOURAGED!